Nestled in Michaux State Forest, Pine Grove Furnace State Park&apos;s 696 acres offer wildlife and nature enthusiasts a variety of activities. Explore the self-guided historical trail, which investigates the old structures of the Pine Grove Iron Furnace, or hike to the quartzite outcrop at the Pole Steeple Overlook. Take a stroll along the notable midway point of the Appalachian Trail, and visit the Appalachian Trail Museum - the first museum in the country to be dedicated to hiking. Cool off at the lakeside beaches at Laurel Lake (25 acres) and Fuller Lake (1.7) and wander along the easy trail, Mountain Creek Trail, that connects them. There is so much to do you&apos;ll want to make it a weekend or a week and stay overnight. The park day use areas are free and open to the public, dawn to dusk all year. 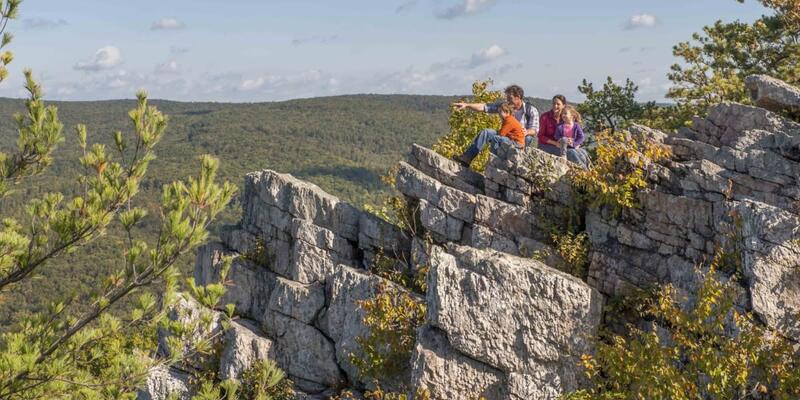 Pine Grove Furnace State Park has four miles of trails, and connections to longer trails, like the Appalachian Trail. View the entire park from the quartzite rock outcropping at the top of Pole Steeple. Begin at the Pole Steeple parking lot, along Railroad Rd by Laurel Lake. View more about each trail by clicking on its trail name below. All park roads and service roads are open to bicycles unless posted otherwise. The two-mile Cumberland County Biker-Hiker Trail connects the Furnace Stack Day Use Area with Laurel Lake Day Use Area. 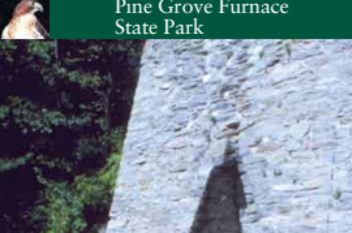 Pine Grove Furnace State Park marks the midway point along the Appalachian Trail. Obeying tradition, hikers eat a half-gallon of ice cream here. Although no camping on the trail is permitted within the park boundaries, visitors can stay overnight at the Ironmaster&apos;s Mansion located on the trail in the park for public use. Pine Grove Furnace does allow overnight parking with proper registration. Learn more about the history of the Appalachian Trail at the Appalachian Trail Museum located in the park. Enjoy lakeside beaches at Laurel and Fuller Lake from May 1 to September 30, 8 a.m. to sunset. Laurel Lake is "swim at your own risk" and Fuller Lake has lifeguards on duty from 11 a.m. to 7 p.m. from Memorial Day weekend until Labor Day unless otherwise posted. Seasonal snack bar. Read more about Laurel Lake . 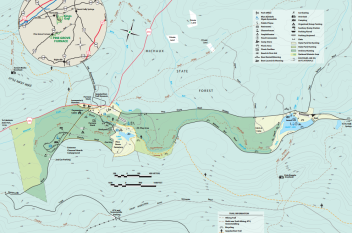 Boating is permitted on the 25-acre Laurel Lake (electric motors and non-powered boats only). There is a boat launch and a place to rent boats. Boats must display proper registration. View boat rental pricing (.pdf). You&apos;ll find pickerel, perch and stocked Brooke, brown & rainbow trout in Laurel and Fuller Lakes. Year-round trout fishing in Laurel Lake & Mountain Creek; seasonal trout fishing in Fuller Lake. A variety of habitats, including mixed forest, shrub/scrub, and swampland, draws nearly 160 bird species during migration and nesting seasons including warblers, buteos, accipiters, flycatchers, woodpeckers, owls, and vireos. During migration, grebes, puddle ducks, and mergansers splash down in the lakes, stream, and wetlands. Good place for irruptive species such as Red Crossbill and Pine Siskin. 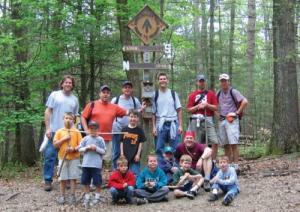 Several hands-on experiences, guided walks, and programs are offered May through September. Over 75 acres are open to hunting, trapping and the training of dogs during established seasons. Common game species are deer, turkey, rabbit, pheasant, and squirrel. Dog training is permitted from the day following Labor Day through March 31 in designated hunting areas. Contact the park office for ADA accessible hunting information. Use extreme caution with firearms at all times and use them only in authorized hunting areas during hunting seasons. Pets are allowed at designated campsites, and throughout the park. Dogs must be kept on a leash at all times. Pets are NOT allowed on the beach. Pets may be taken on trails. Please ensure you clean up after your pet while visiting the park. • Cross-Country Skiing - numerous opportunities exist throughout the park. Camping: 69 sites are available from late March through mid-December. New shower house and restrooms on-site. 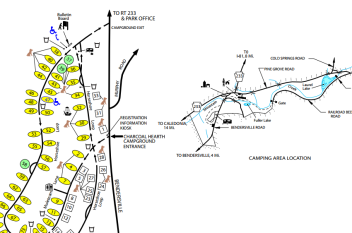 A seasonal camp store is 0.25-mile from the campground. Organized group tenting is available year-round. Paymasters Cabin: Available for rent year-round, this historic house renovated into a modern cabin sleeps six people. 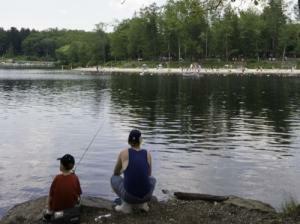 Reservations can be made by calling 1-888-PA-PARKS (1-888-727-2757) or online at www.visitpaparks.com. Ironmaster&apos;s Mansion: Thanks to countless volunteer hours, the Ironmaster&apos;s Mansion re-opened on April 5, 2011. It serves as a hostel, providing dormitory-style lodging to the general public and is the perfect venue for wedding receptions, family reunions and special events. The mansion was built in 1829 and is registered with the National Register of Historical Places.